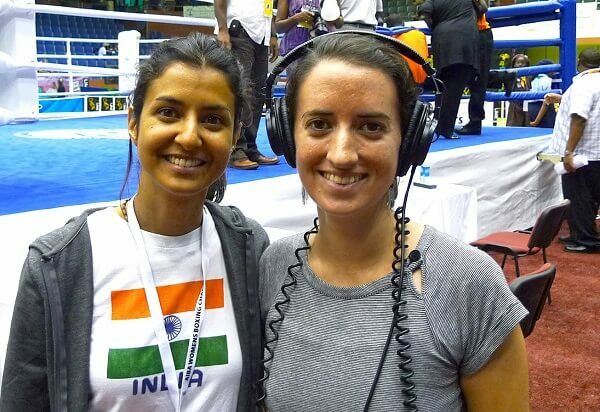 It wasn’t an easy journey for Canadian filmmakers Ameesha Joshi and Anna Sarkissian to complete their documentary film With This Ring on Indian female boxers. In fact, their over a decade long ordeal mirrors the struggles of their subjects. 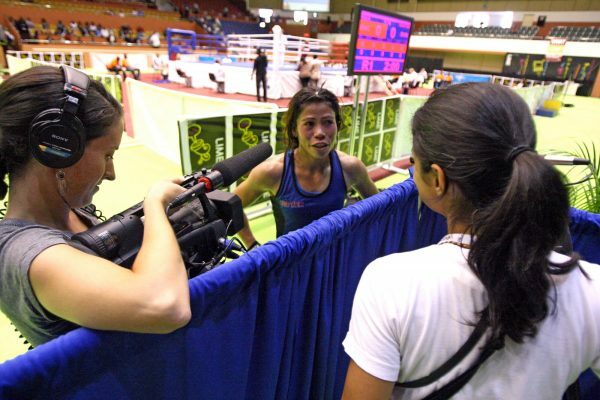 We spoke to Joshi and Sarkissian to get an insight into their craft, their choice of subject and what was it like to work with world’s number one female boxer MC Mary Kom, who is the central figure in their film. The film is now available on YouTube for viewing. Why did you feel that the struggles and success stories of Indian female boxers needed to be documented? Ameesha: We decided to make this film back in 2006 when there was literally nothing about them in the media. I randomly found out that India had women boxers when I saw a photograph at the 2005 World Press Photo Exhibit in Montreal of a woman boxer training on the beaches of Madras. I was immediately intrigued, and thought right away I wanted to make a documentary on these women and tried to research whatever I could find online. 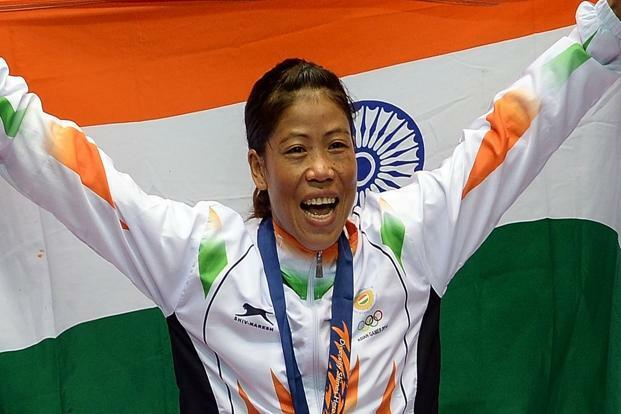 There was very little information but what I did discover fascinated me, in particular, a certain two-time world champion named Mary Kom. 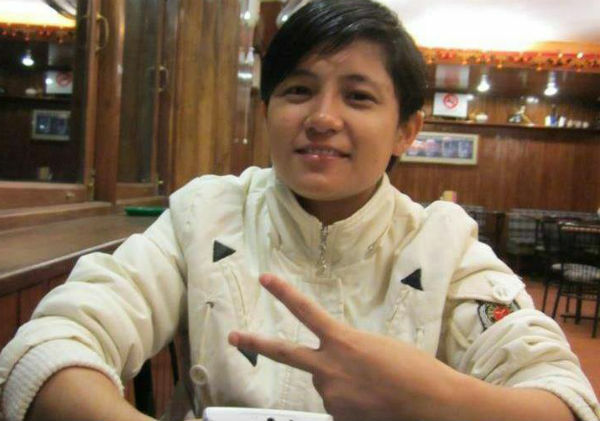 Mary, like the other women on the team, came from a rural background and lower socio-economic class but was winning medals on an international level. When I went to India for a family trip, I visited the training camps, where some 50 plus members of the Senior Women’s boxing team train round the year and was completely blown away. I found the unified movements and sounds during their workouts beautiful and cinematic. The boxers moved away from their home to train six days a week, ten months of a year at these gruelling boot camp style training camps – no wonder they were some of the best in the world. They were nothing like other women I had come across before in India. 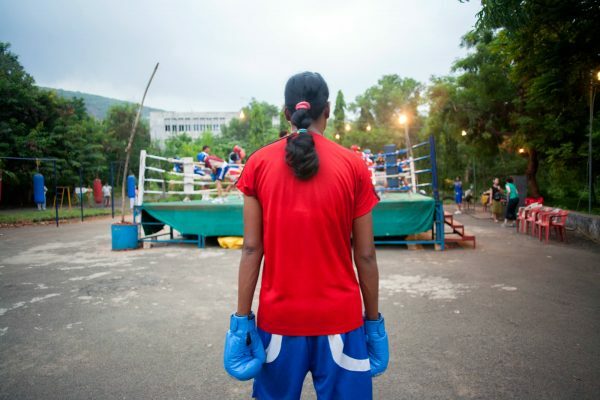 A still from With This Ring: A documentary film on Indian female boxers. Although I grew up in Canada, I was raised with traditional Indian values. I knew that a woman that age was expected to marry, so could only imagine what they must be up against to be dedicating their lives to what is seen as a violent, more “masculine” sport. Despite their international successes they were getting little to no media attention. These women were my heroes the moment I met them and all I wanted to do was share their inspiring stories with the rest of the world. Your documentary film took more than ten years in making, that mustn’t have been easy. What motivated you to keep going? Ameesha: It wasn’t easy and it wasn’t planned. Anna and I scraped enough money together for our first production trip in 2006 for the World Women’s Boxing Championship in Delhi. We were fresh out of film school and had every intention of going to India and finishing the filming during those two months. We were in for quite a surprise when we arrived. The coaches at the time didn’t understand our motivation for making this documentary, so they didn’t entirely trust us and saw us as a distraction to their training. As a result, we were given very little access, so it was impossible to capture enough footage to make a feature-length documentary let alone identify who we wanted as characters in the film. But we did capture the team winning the championship title in 2006 and being crowned the number one team in the world. I never had any doubt that this was an incredible story about inspiring trailblazers. It was just such a passion project and never, for one second, we stopped believing in this film. I knew we had something very special in our hands. Anna: Once we started making this film, we developed a relationship with the team and felt accountable to them. They opened up to us and let us into their world, so I felt we owed it to them to carry on even when we were frustrated or tired or lacking resources. We also had a lot of supporters cheering for us. We blogged about our film and used social media to get the word out, so there were a lot of people who believed in the project. There were certainly many moments when we could have packed it all up, but we felt an obligation to the team and our supporters to see it through. 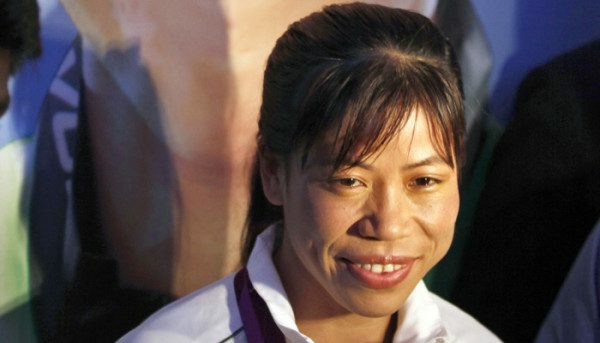 MC Mary Kom has taken boxing as a sport in India to another level, across genders. What qualities did you observe in her, as a person, while shooting this documentary, that makes her such a champion? Directors of the film with MC Mary Kom. Ameesha: Mary is fearless and so psychologically strong, nothing can break her mentally. In 2008 when we came back for our second production shoot, we witnessed Mary returning to train after taking a year off from having her twin boys. She would wake up at five in the morning with the rest of the team after being up all night with her babies, and pushed hard to keep up with the exhausting training sessions. There was no doubt in her mind that she would clinch the gold at the next World Championship months later which she did. She has an iron will and unbreakable confidence. Anna: People respect Mary because of what she has achieved as a boxer, but also because of her leadership skills. She’s very outspoken. She doesn’t shy away from controversy–she faces it head on. 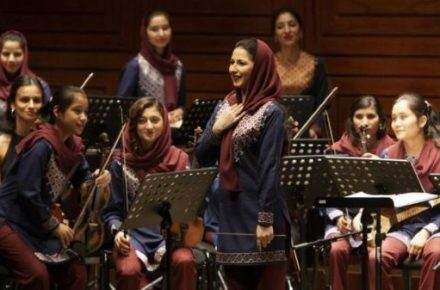 So in addition to her incredible talent and hard work, she’s a charismatic leader, thus people gravitate towards her. 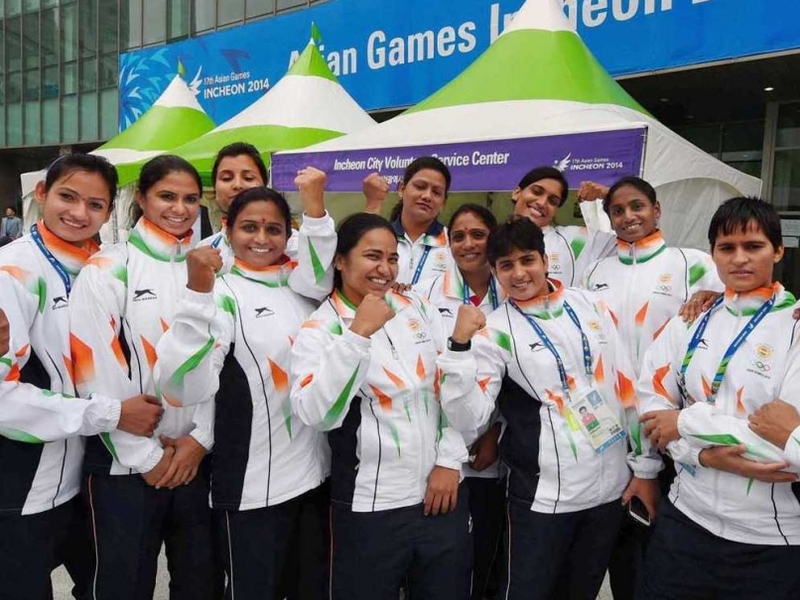 Women face a lot of hurdles and bias in sports, especially in India. What can be done to correct that? Ameesha: Media could play a crucial role in changing the systemic perception of women in society. 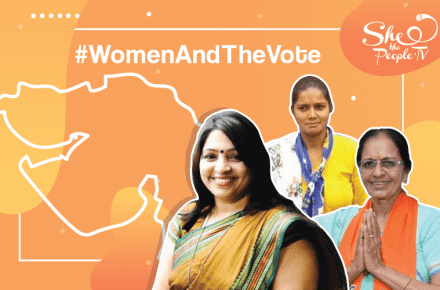 For example, Priyanka Chopra’s biopic on Mary Kom and films like Chak De India and Dangal only helped popularize women in sports and tear down stereotypes about what’s considered acceptable for a woman. Anna: I strongly believe that the media plays a central role in social change, which is the main reason I’m drawn to storytelling through visuals and words. As we followed the team from 2006 to 2012, we weren’t seeing the boxers in the news or even online. The Indian boxing authority, known as IABF at the time, had these passport-style photos of the team on their website. To me, it was a question of marketing. 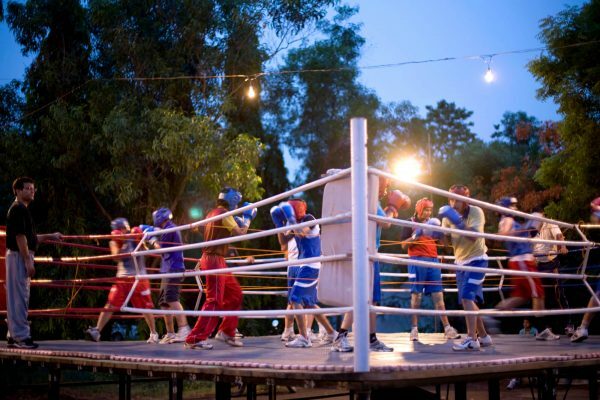 Boxing was not popular, and there was little out there to convince the public to latch on to the sport. Once India started winning medals in boxing at the Olympics, we’ve started to see a real shift in how the boxers are perceived and presented in the media. They’re putting money into making flashy videos and the word is getting out now that pursuing a career in sports is a respectable endeavour. The film talks about breaking stereotypes with boxing. 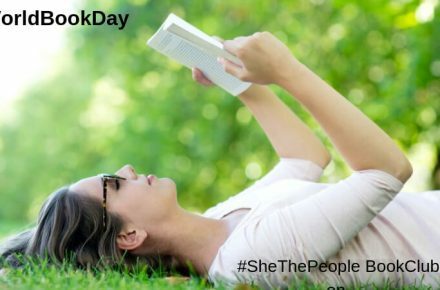 But women face stereotyping in all walks of life. 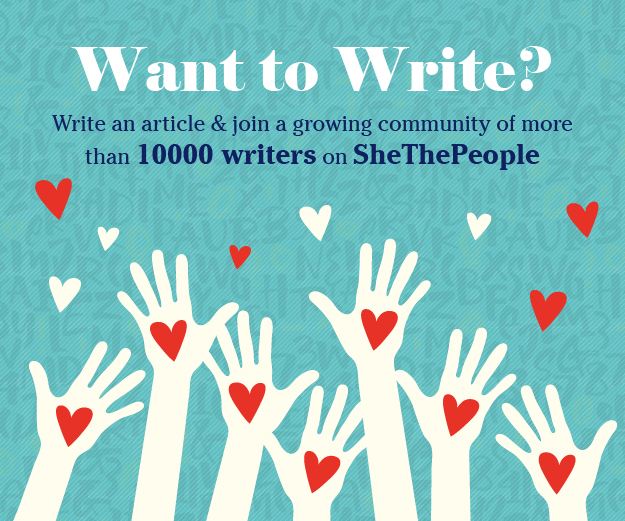 What other changes do you want to see in the way we raise girls in India, even globally, to get rid of it? Ameesha: I would like to see us empower girls to be leaders in society and to make education accessible to all. To nurture and support their interests and passions. I also don’t think women should be pressured into getting married and starting a family at any age if that’s not what they want and should be encouraged to be true to themselves and live the life they want to live. I would also like to see a world where girls are acknowledged for their accomplishments, talents and character as opposed to their physical appearance. Anna: I don’t really feel that it’s my place to comment on how girls are raised in India, and my aim in making this film was to do the same. 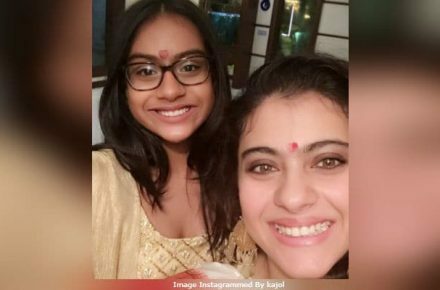 I think it’s been really interesting to see how the #MeToo movement gained traction among celebrities in Hollywood, and spread around the world to the point where women in India began speaking out last year. This is only the beginning, I think. We have so much work left to do but I’m encouraged by all the individual actions taking place around the world. Tell us a bit about your experience of working with an all-women crew. Ameesha: It was actually a great advantage being women on this shoot. It allowed us to live in the women’s hostel alongside the boxers which was incredibly helpful. Although they did not articulate this to us, I feel it only made the boxers more comfortable that we were women since we were filming them constantly. Anna was also the cinematographer for our film and I was so appreciative of her cinematic eye and female gaze in capturing the boxers lives and stories. And this female perspective carried over into post-production with our incredibly talented editor Jackie Dzuba. With This Ring is a film about women and for that reason we felt it needed to be created by women, so it was incredibly lucky and advantageous on every level. Anna: I don’t think a male crew could have made the film that we made. As two women, we got access to the team and lived alongside them as de facto team members. That would not have been possible for men. We made a lot of people a bit anxious because we were two women travelling alone through India. We didn’t think anything of it to be honest, as we had travelled on our own before in other countries, but when we told people what we were doing they were surprised and a bit worried. They wanted us to stay with them, or they wanted to drive us around, and we tried to refuse politely but they often insisted. At the same time, I feel like the fact that we were Canadian women gave us certain special privileges when we attended events or needed access to certain things. We were able to go into male-only spaces and speak to men more freely. We were treated like this “other” category. Documentary films are increasingly growing popular with audiences. What seems to have clicked now? Ameesha: I think there’s just an increase in platforms for documentaries to be seen online now and become more accessible on a wide scale. I feel online distribution is playing a key part in its growing popularity. Anna: I think the popularity of documentaries has been growing for a while. I think the internet definitely plays a role, but also the proliferation of reality television from the early 2000s. Non-fiction unscripted media is almost ubiquitous now, so the documentary format is able to sneak in too. Initially, some of our characters would explain what we were doing to their families by saying it was for the “Discovery Channel.” Now, 13 years later, I don’t think they would need to do that anymore because people are more familiar with the documentary format.